Several Clarksdale students brainstormed and designed this mural. We spent time exploring Clarksdale, examining what they liked about the town (the "haves"), and what they felt was missing (and the "don'ts"). 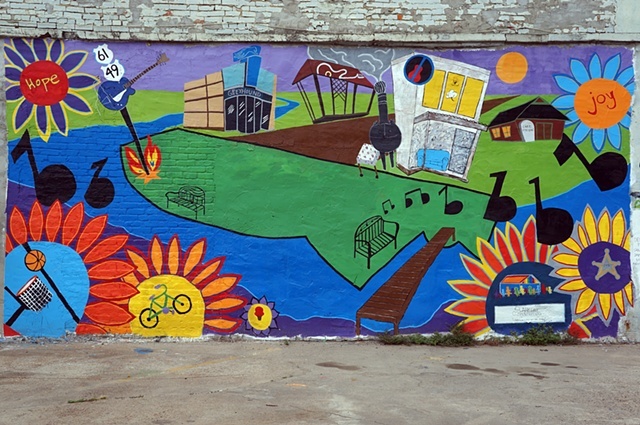 They came up with the idea to design a visual map of Clarksdale, with the missing elements represented in sunflowers framing the larger composition. This project was generously funded by the Rock River Foundation.